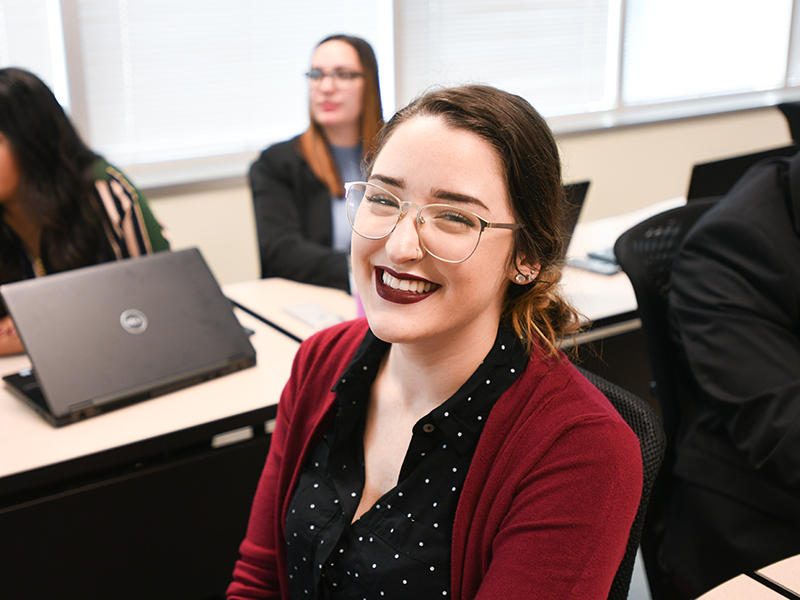 AU offers a streamlined path to master’s degrees immediately following your undergraduate program, allowing you to earn your graduate degree in as little as one year. INCREASE YOUR EARNING POTENTIAL: U.S. workers holding a master’s degree earn 20 percent more in average annual salary than those with a bachelor’s degree. GAIN THE SKILLS: Learn to effectively analyze data to make key management decisions. STAY ON THE TEAM: Use another year of athletic eligibility. A BEST VALUE: Affordability and impressive outcomes define the AU graduate programs. STREAMLINED APPLICATION PROCESS: No application fee and no GMAT/GRE required. PROFESSIONAL GROWTH OPPORTUNITIES: Participate in premier internships and clinical experiences. NO TEXTBOOK COSTS AND LAPTOP INCLUDED: Computer equipped with industry-standard software.